All Fix Plumbing Ltd - Plumber, Tiler - Tiling based in Grafty Green, Kent. 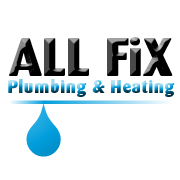 All Fix Plumbing Ltd was founded in early 2005, a local reliable & responsive Plumbing & Home Maintenance business located near Lenham, Kent. David Jenkins (Director/Owner) of the business with over 14 years’ trade experience. - Replacement hot water cylinders. - Replacement cold water storage tanks. - Wall & floor tiling. - Central heating / Radiators. - Shower replacements of all types. - Blocked drains / toilets. I am an honest, reliable, clean and tidy worker. We have always believed in providing a quality & prompt service with reasonable charges. I believe in setting my standards high to meet customer satisfaction. We are on call 08.00 - 17.00 Hrs 7 days a week, any call out outside these hours attracts a call out fee of £40 (NO VAT) including weekends. A customer base covering a 20-mile radius, from which I have received excellent reviews on work undertaken. Maidstone, Ashford, Lenham, Headcorn, Canterbury, Kent.